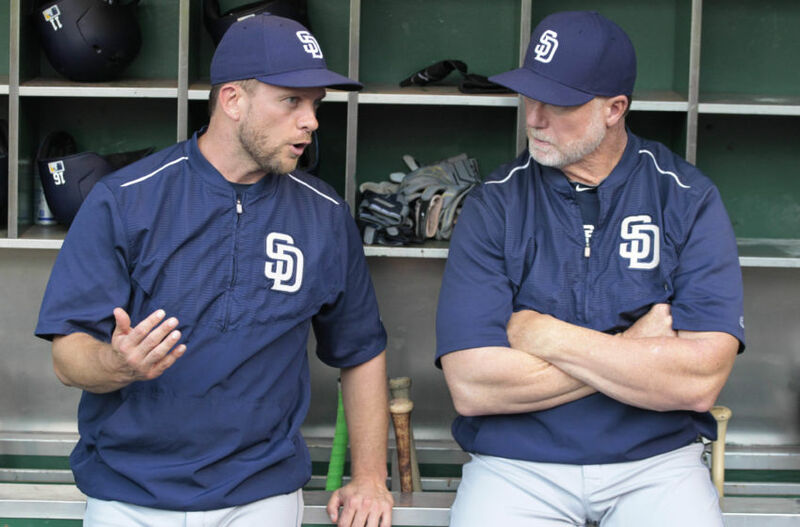 Our 2018 San Diego Padres grades continue as we examine the team’s coaching staff and grade them for the impact they had on the Padres this season. 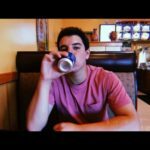 After breaking down all of the positions on the San Diego Padres in separate articles, we at EVT will shift our focus onto the Padres coaching staff. When grading the coaches, we will take in several things into consideration. For example, just because the Padres finished with a terrible record does not mean that Andy Green will necessarily get a bad grade. We will be diving in and looking at player development, improvements, and other aspects that a coach would have an impact over. All of these grades are open to interpretation and whether or not you agree or disagree, feel free to leave your opinions in the comment section as we are always open to discussions. The most debated topic in all of “Padres Land” is whether or not Andy Green is the right fit to manage the team long term or not. Some people believe in the young skipper while others think that the “C” grade given to him is way too generous. While the Padres did have one of the worst records in all of baseball (66-96), Green gets a pass for some of it. The team, once again, did not have the most talented roster to put it nicely. 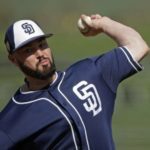 It was inevitable, and quite obvious to most, that the Padres were not going to have a great season in 2018. 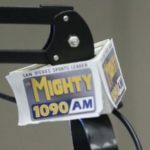 While we did see some flashes at times, the truth is that this Padres team does not have the players to compete and have a winning record in this league. The lack of talent is not something that you can blame Green for but his questionable decision making and shaky lineup construction, at times, can certainly make you wonder if he is fit for the job long-term. The good thing? Green is only 41 years old and just wrapped up his third full season as the team’s manager. He is an intelligent baseball mind that is still learning how to manage at the big league level. Andy Green gets a pass, for now, but if the struggles continue it is likely that he is on his way out of San Diego. So, the Padres are coming off their worst combined starter ERA in almost 20 years, have the 21st ranked pitching staff in all of baseball and I’m still giving Darren Balsley an A? Without a doubt. While the on-field product has been horrendous at times, what the 53-year-old has done with this pitching staff is incredible. 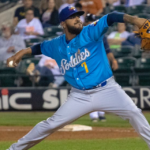 Let’s start with the fact that every year the Padres seem to have a dominant reliever, whether it be a waiver claim or a minor league call-up, come out of nowhere. Two years ago it was Brad Hand, last year it was Kirby Yates, and this season it was Robert Stock. What Darren Balsley does with these pitchers is absolutely incredible. 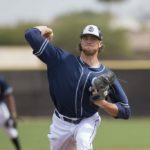 While the Padres’ overall staff ERA was a 4.40, the team’s bullpen posted a 3.53 ERA and led the entire National League in strikeouts. Throughout the season we saw development in almost every single young pitcher, something that a rebuilding team wants and needs to see. 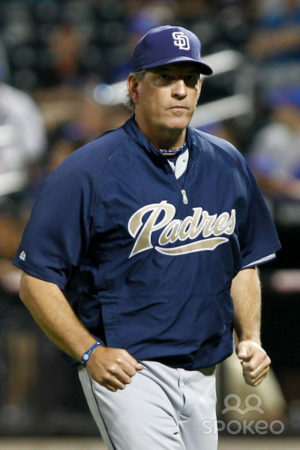 Balsley has been spectacular in his tenure with the Padres and is one of the best pitching coaches in all of baseball. Look past the numbers, this guy deserves an A without a doubt. When the Padres hired Matt Stairs, there was a conscious sense of optimism that his philosophies would improve the player’s approaches and raise their on-base-percentages. 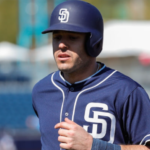 Instead, the Padres scored the third-fewest runs (617) in all of baseball, struck out 1,523 times, posted the lowest on-base percentage (.297) in the entire league, and were easily the worst situational hitting team in the league posting a .230 batting average with runners in scoring position. 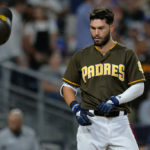 While those astronomical struggles can be attributed to the Padres having the youngest lineup in all of baseball, Stairs and company surely have to take some of the blame. The only reason, and let me make it very clear, that Stairs and Washington did not receive an F is because we did see improvements in certain players offensive approaches. The biggest example of this, and most important, is Hunter Renfroe. Arguably the best player on the team this season, Renfroe raised his OBP by 18 points, struck out 31 fewer times, and walked three more times in 42 fewer at-bats in 2018. The strides that he has taken alone are enough to keep Stairs and Washington away from an “F” grade. The 2018 San Diego Padres were, easily, the worst baserunning and situational team in all of baseball. Every time I watched a game they screw themselves over on the basepaths. Why would I give their base coaches a B- then? It’s simple: the Padres are aggressive when they get on the basepaths and like to put pressure on other teams. Sure, Andy Green gets credit for this, but Skip Schumaker and Glenn Hoffman did a great job in instilling this offensive mentality. 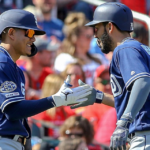 The two pushed for extra bases and liked to put runners in motion, as the Padres finished with the eighth most stolen bases in the entire league. Getting runners on the move and putting them in scoring position simply just translates to more wins. Don’t believe me? The five teams with the most stolen bases in all of baseball all have winning records, including the two best teams in their respective leagues (Boston and Milwaukee). The team did a great job instilling an aggressive mentality on the basepaths and now they just need to coach it better. Luckily for them, they have two fantastic coaches on the corners in Skip Schumaker and Glenn Hoffman. The Padres should, and will, make improvements on the basepaths next season. How about the grade for the GM, probably the worst in the last 40 years? Need a Lou Pinella type manager to instill some gd fear in guys like Myers, and not coddle the rookies. Sounds about right and at least you are realistic. Don’t forget the ever-useless Mark McGwire who, along with Andy Green has no idea how to create a winning culture or a team identity.